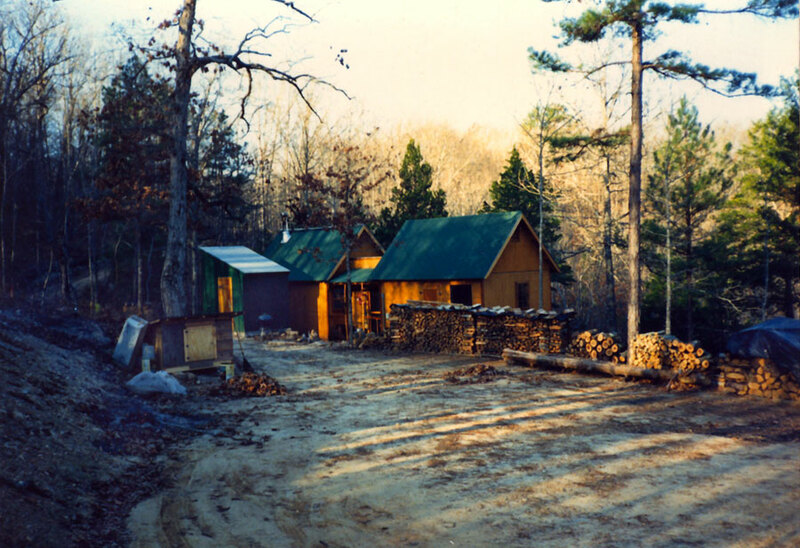 Long view of completed cabin No.2. The only excavation performed during construction was done in the foreground. A bulldozer came in and leveled an area large enough for a turnaround. Clearing for the building site was all done by hand to minimize disturbing the natural plant life around the house. 1990, scanned color print, 3 x 5 in. (7.62 x 12.7 cm). Ozark Series. © 2008 by Allen C. Benson.